We recognize that communication with employees is critical to your engagement, involvement and success. We have recently begun implementing efforts to better communicate with CDPS employees. Part of that communication is asking for and acting upon your feedback. In September, we sent out a survey to ask what you thought about some of our recent efforts. Below are some of the key results from that survey, as well as how we're taking your input to heart. Overall Feedback: Going the Right Direction, Now Make it Better. A solid majority of employees like the new departmental e-newsletter and appreciate efforts to increase communication. Although fewer than half of CDPS employees watched the inaugural Hangout with Hilkey, those who did liked it and would like to see it continue. Our efforts to get the word out about Kronos paid off: 97% of you took notice of the communications. However, other initiatives have achieved less thorough reach, with more than 1/3 of respondents not recalling hearing about Alignment, new badges/ID, or messages about our mission and vision. Tighten up the newsletter and focus on news -- not so long, with more input from the Divisions. We have tried very hard to get stories representing all Divisions. We need your help in submitting the news that is important to you -- including news from outside the Denver-metro area. Additionally, although we'll continue to share feature stories intended to build pride and recognize the cool things CDPS employees are doing, we'll seek to gather a better representation of "real" news stories from your divisions. Include Division Directors in the Hangout with Hilkey. Our vision for these quarterly video-meetings is to address issues of importance and interest to all CDPS employees and allow you to ask the Director questions directly. Some questions or issues may be of limited interest (for example, a program that will only be used by one unit). For the sake of keeping viewers interested, we may answer such questions off-line. But we plan to engage Divisional leadership in these Hangouts so that they can help answer questions pertaining to their specific Divisions. Get out to Meet Employees Face-to-Face. Stan Hilkey, Rebecca Spiess and Division Directors have already been engaged in efforts to meet with employees around the state and will continue to make this a priority. For example, Deputy Director Spiess hosted a dinner gathering in Gunnison in September attended by employees from DHSEM, CBI, CSP, the EDO and DFPC. In October, Director Hilkey will be traveling to various CDPS posts and offices on the Western Slope, along the I-70 corridor and in Fort Collins. Provide a Better, More Unified Picture of our Shared Path Forward. The Department of Public Safety has shared values and a shared mission that unite us and guide us all in the same direction. We'll be working with Divisional leadership to help better define and communicate our long-term goals and the path we'll be taking together. One exciting effort towards achieving this outcome is the new Leadership Standards Institute launching this fall. 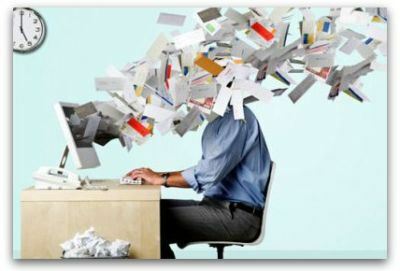 One of the comments we heard was that people receive too much email. That's a common complaint in this day and age, and one we can all contribute towards improving. For our part, leaders within CDPS are working towards more coordinated messaging and communications. We've also launched a "Change Champions" group of formal and informal leaders whose charge is to help communicate change to all employees within their divisions and to listen to you and bring your feedback and concerns back to the larger group. These Change Champions are helping us supplement department-wide emails with communications that are more relevant and effective for the employees within our divisions. They are also helping to get your questions answered and serve as liaisons with the leads in charge of each project. In terms of balancing feedback and email volume management, we plan to send out more surveys asking for your feedback and opinion but will limit their frequency in order to avoid "survey fatigue." Use "Reply All" sparingly. Rarely does everyone on an email string need to see all replies - and if a conversation needs to take place, it may be faster and more effective to call a quick meeting by phone or in person. Limit blasts to the entire Division. Such emails should be about important matters that directly impact everyone in the Division.Consider whether other tools may be more appropriate, especially for regularly ocurring pieces of information like on-call schedules.For example, posting the information to a shared calendar or the Intranet/Sharepoint. Use calendar tools like "Doodle" or the "Find a Time" function in Google Calendars to find the best time for a meeting, rather than engaging in a long dialog attempting to find a date and time that works for everyone. We truly appreciate the time that you took to complete the survey and provide us with your honest input. In addition to helpful comments on how we can improve, we were pleased to see numerous comments expressing support or gratitude for our efforts to communicate better with you. For example, "Thank you for what you're doing...it means a lot, it really does." And "Thank you for making the time, and the effort!" We're not doing this to hear our own voices. We're doing it to make CDPS a great place to work, to provide you with resources and information to better perform your life-saving work, and to build a shared sense of identity, purpose and pride across our complex department.We believe these efforts are worthwhile, and hope you'll believe that taking the time to participate in these communications is worthwhile!